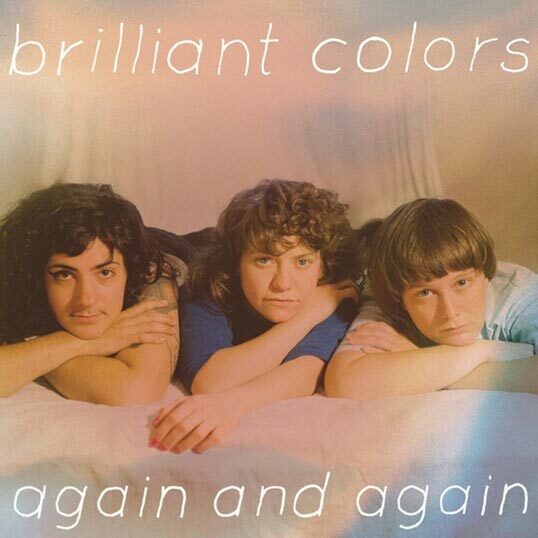 Again and Again is the sophomore release from Slumberland's Brilliant Colors. Carrying on from their 2009 debut Introducing, they have again created perfect summer music that is lively and playful. However this new release is much sharper and more focused than their previous effort. The vocals are higher in the mix, the guitars are clearer and the drums hold more of a punch. Indeed, the album is more diverse and shows a stylistic progression. 'Hey Dan' makes you want to twirl under the warm sun. The song 'Back To The Tricks' has so much character, blistering guitars, rapid fire drums, Jess Scott's cool vocals and an unexpected rupture of guitar near the end. Sure to be included on many mix tapes are 'Painting Truths' and 'Value Lines' which are both exciting and infectious. Again and Again is a good album, but some of the songs crave more lyrics, this would give the album more of a kick. Still worth checking out though!